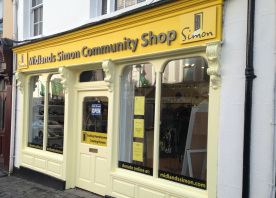 In October 2005, Midlands Simon Community opened our first shop, located in Athlone. 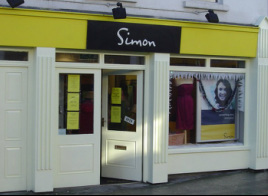 The Simon Shop in Tullamore opened in November 2013 and the Portlaoise Simon Shop opened in January 2014. The shops are another way to show solidarity with those experiencing homelessness throughout the year. There is a fantastic selection of top quality goods to choose from, for everyone in the family. You can get anything from clothes (men’s, ladies and children’s), jewelry, home-ware and accessories to DVD’s, books and video games. It is also a very welcome opportunity to find excellent value for money and at the same time show that ethical shopping and excellent quality can go hand in hand. 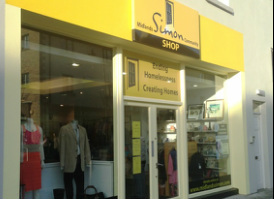 Midlands Simon Community Shops`s also provide an opportunity to volunteer by either working in the shop itself or by assisting to source stock and goods to sell in the shop. The shops provide another very valuable source of funding for the organisation. Donors and supporters are able to help the people we work with everyday by donating and helping us to raise money - feel good while you de-clutter your house. Midlands Simon Community gains both stock and the chance to take our message to a new audience, while being good to the environment. Plus, you also get to shop at great prices for that something different. We are extremely grateful to all of our donors for donating to our shops. However, in order to keep costs of disposal down, if an item is deemed unsuitable for donation, we may refuse. Please do not take offence to this as we are extremely grateful for your support. Volunteers who want to work in our Shops are always welcome and training will be provided. If you are interested please contact Joanne or Karen in the Midlands Simon Shop.